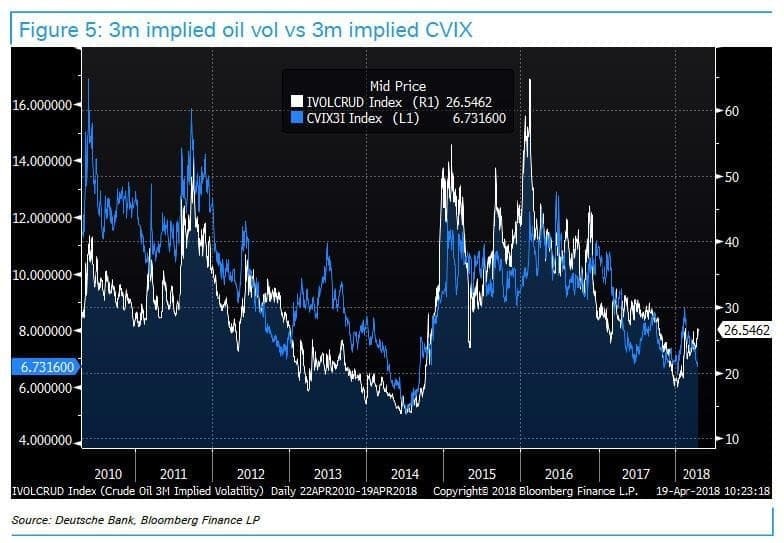 While traders have been closely following the push higher in 10Y yields, which rose as high as 2.996 percent on Monday, as well as the dramatic short squeeze in the dollar, they may be ignoring the one asset class that is responsible for both moves: crude oil. As Ruskin notes, "oil is working its wonders on inflation expectations. 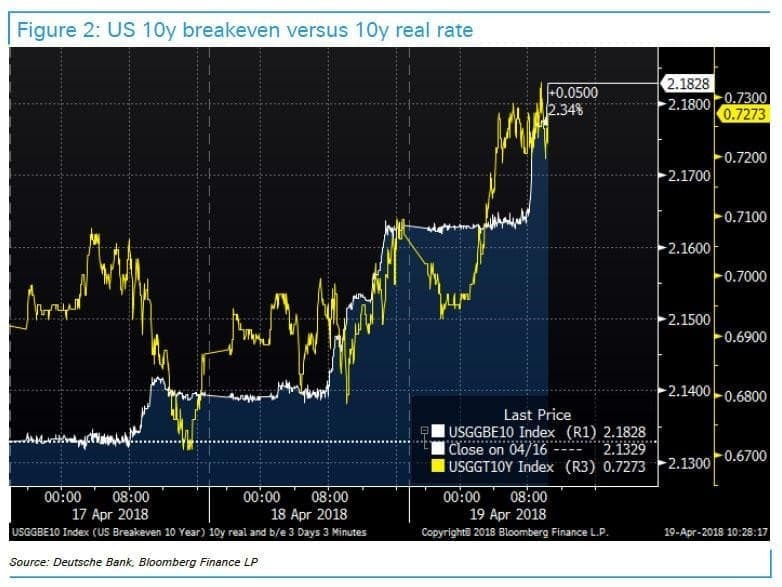 Figure 1 shows 10y breakevens again slavishly following oil around" and calculates that according to market beta regressions, "a $5/b increase in oil is worth at least 10bps on 10y breakevens. 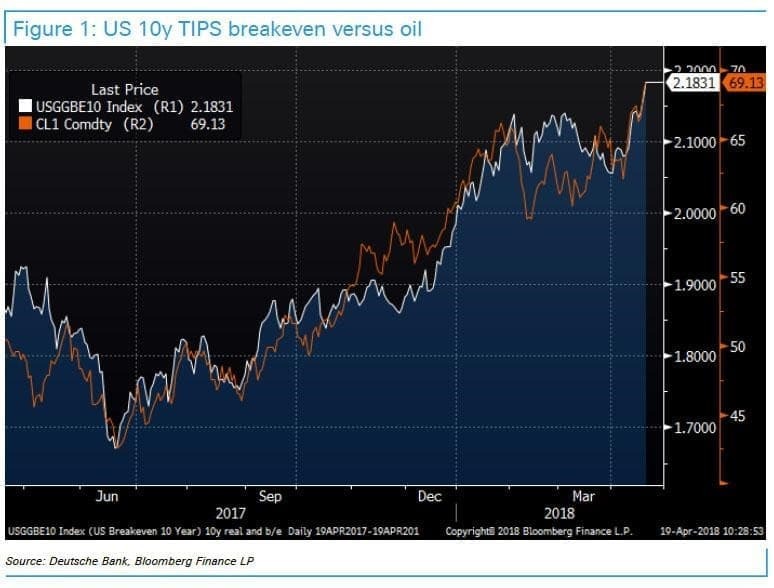 Assuming that real yields and breakevens if anything remain positively correlated (see figure 2) a WTI near $75/b could precipitate US 10y pushing through 3 percent." 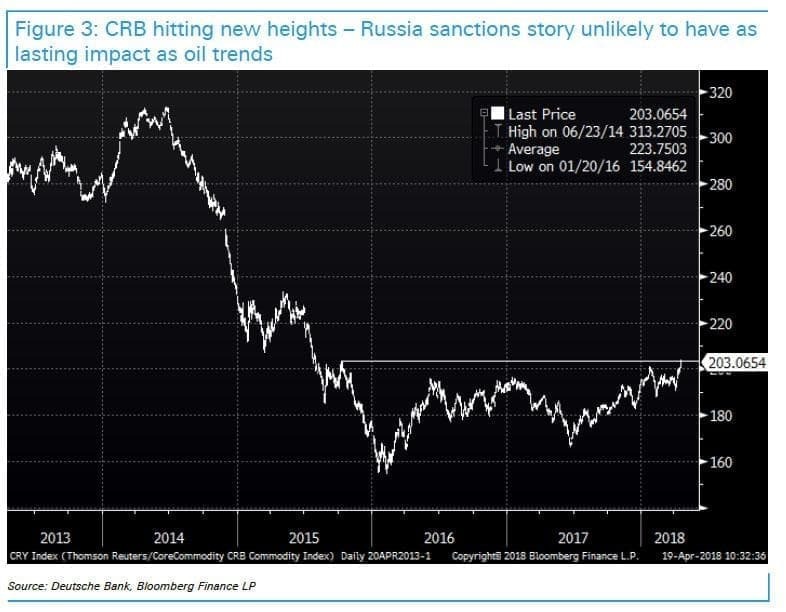 Further, as discussed previously, the Syria story with its associated Russian sanctions angle, has awakened dormant commodity price pressures, with the CRB now finally threatening levels last seen in 2015, although some of these have eased in the past 24 hours following suggestions from the U.S. Treasury the Trump admin may be willing to ease back some of its Russian sanctions, unlocking Rusal aluminum supply-chains. 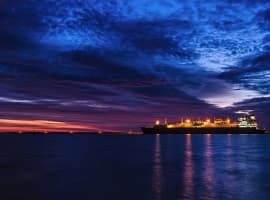 Meanwhile, higher commodity prices are falling on a market that should be receptive to some broader increase in inflation in the U.S. 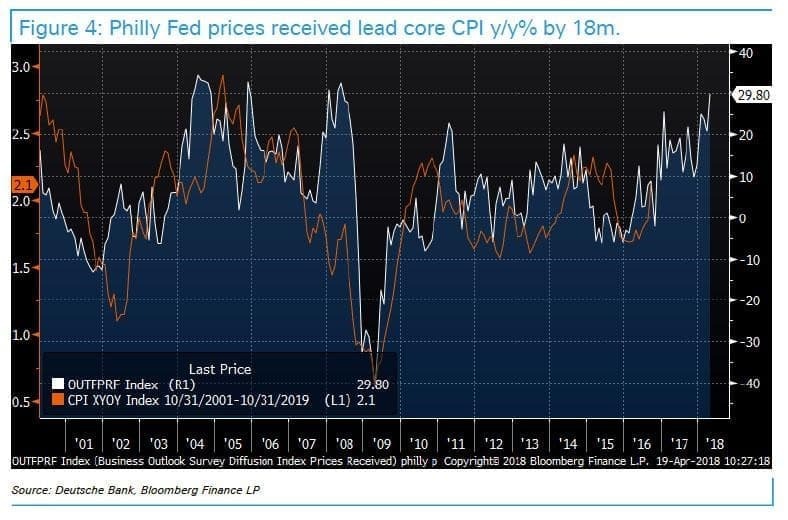 In a remarkable example, Thursday's Philly Fed prices received hit their highest levels since 2008, (see figure 4), a number consistent with core CPI inflation rate up near 3 percent in 2019. 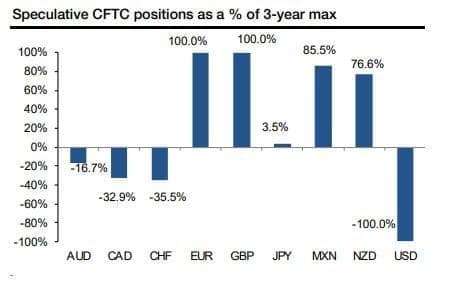 The EUR has a small positive beta with oil, and, the USD tends to lose out slightly when oil goes up. However the oil - USD causation can run both ways, and is dominated by weaker USD helping oil, rather than higher oil weakening the USD. 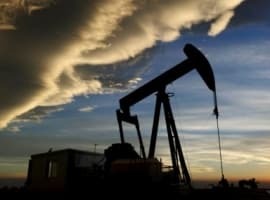 Oil also has an impact on Central Bank expectations. The ECB has historically placed more emphasis on total inflation than the Fed, helping higher oil prices to be associated with a stronger EUR, but this is less of a factor in current markets. With the USD/JPY surging above 108.50, so far this is being validated. Finally, the biggest question: what happens to the all-important dollar? 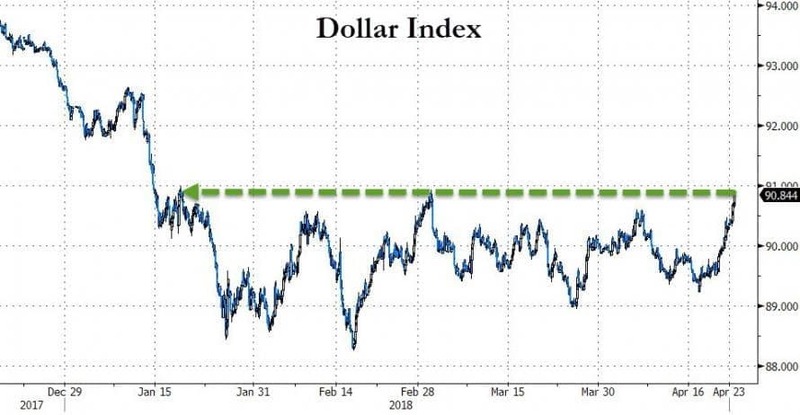 Well, here Ruskin says that if oil is a factor pushing U.S. bond yields to new cycle highs, the USD is likely to perform strongly across the board. And sure enough, as discussed earlier, the USD is indeed surging. 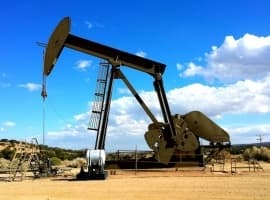 Not only that, but who exactly are they going to get to work the oilfield now ?. This next boom is coming on fast and the recruiters are already out in force. I have no doubt all companies will be expecting all the people they laid off to come running back when they click their fingers.. I wonder just how many sold up, moved on, found new careers in other industries, taken early retirement etc . It goes without saying the industry has lost many of it's experienced hands now possibly for good.